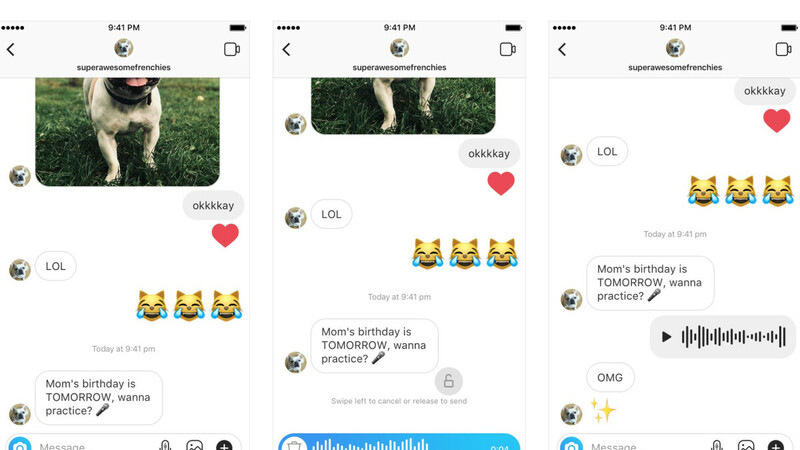 Instagram has just announced that users of its social networking service will be able to take advantage of a brand new feature going forward: audio messages. If you have an Instagram account, you'll now be able to send voice messages to your followers or to those who you follow. These audio messages can be up to one minute long and can be sent in private and group chats. The new feature will be available on both the Android and iOS platform after the latest update is installed. Keep in mind that in order to send an audio message, you'll have to record it first by holding down the microphone button. The moment you take your finger from the mic button, the message will be automatically sent. If you change your mind and don't want to send the voice message, simply slide your finger over to the trash icon to delete it. According to Instagram, the new feature is now being rolled out to all compatible devices, but it might take a few days to reach all consumers, so be patient if you can't see it right away.